This is our year, golfers! And we have so much to celebrate! Undoubtedly, 2019 promises to be a great year not only for golf in general but also for Hole19, as the number nineteen represents so much for us. We started a few years ago as a very small Portuguese company and we've been growing up since then, aiming from the beginning to assist golfers on their quest for golf improvement: before, during and after their rounds. Being with you once your game is finished makes us indeed the 19th hole! Yes, that’s right! Starting January 19th and on the 19th of each month of 2019 thereafter, we’ll have an open day where all Hole19ers will have access to all Premium features! 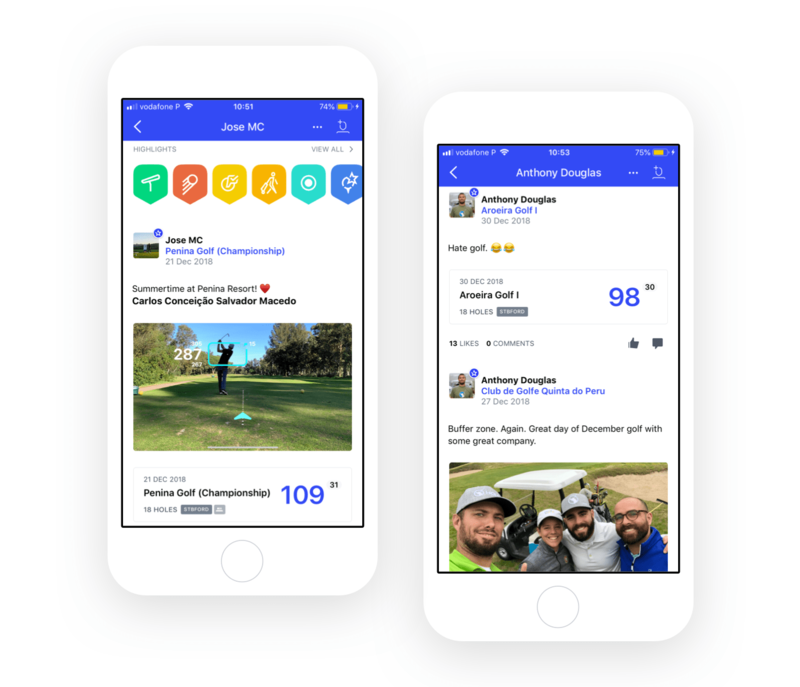 We would like everyone to play on the 19th with the Hole19 App, so mark your calendar and get your clubs ready for that day! 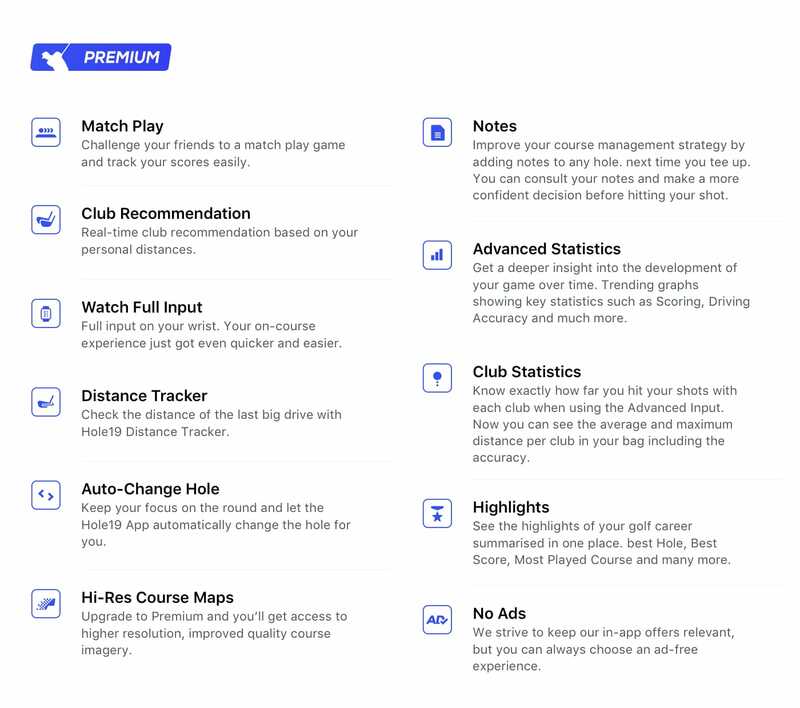 As well as having Hole19 Premium PRO available for everyone, by playing at least one round on the 19th of each month, you will be in with the chance of winning one of the nineteen 1-month Premium subscriptions given at random each month, or the ultimate final prize, which we will be giving away at the end of the year. Playing on the 19th will give you 1 point per round, so make sure you play every month to get more chances to win at the end of the year. Additionally, every once in a while we’ll be giving you surprise challenges, which can increase your chances of winning one of the final prizes, by giving you 5 points each. But be aware, not all months will include a challenge, so you have to pay attention! 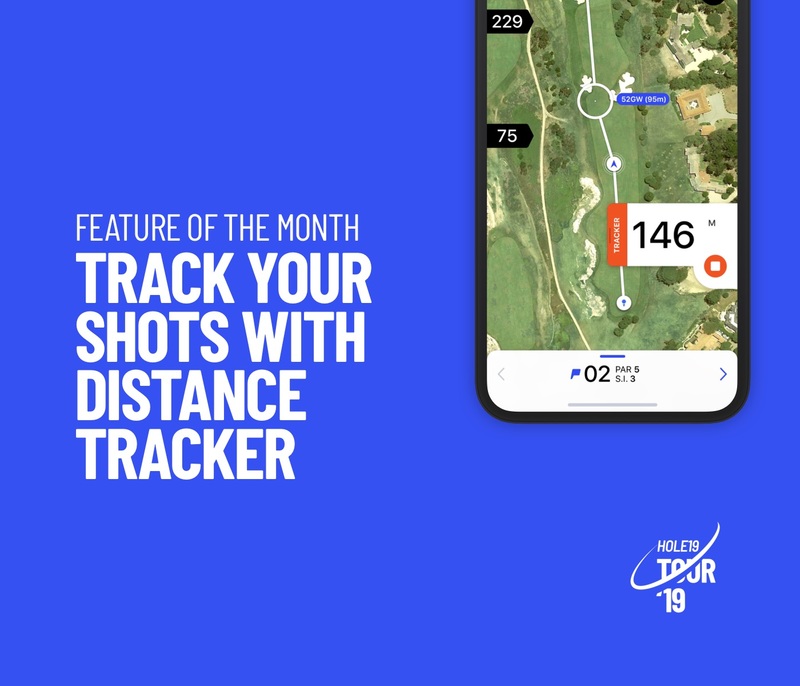 This first month we’ll be focusing on our highly praised Distance Tracker, a Premium feature that makes it easy to find out exactly how far you hit the golf ball. 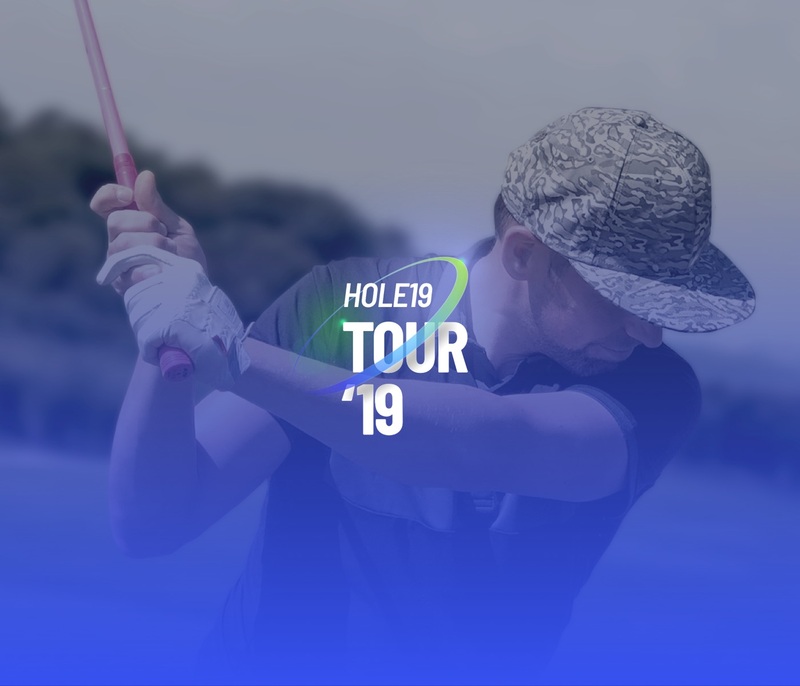 Take advantage of the Hole19 Tour ‘19 and play the round of that day tracking your shots! Don't forget to try out the Distance Tracker and know your distances come rain or shine... or snow if you are adventurous enough to play some winter golf! (We are aware that some of you can't play right now as some countries are covered in snow, but not to worry, there will be many opportunities for you throughout the whole year). Want to know more about this awesome premium feature? 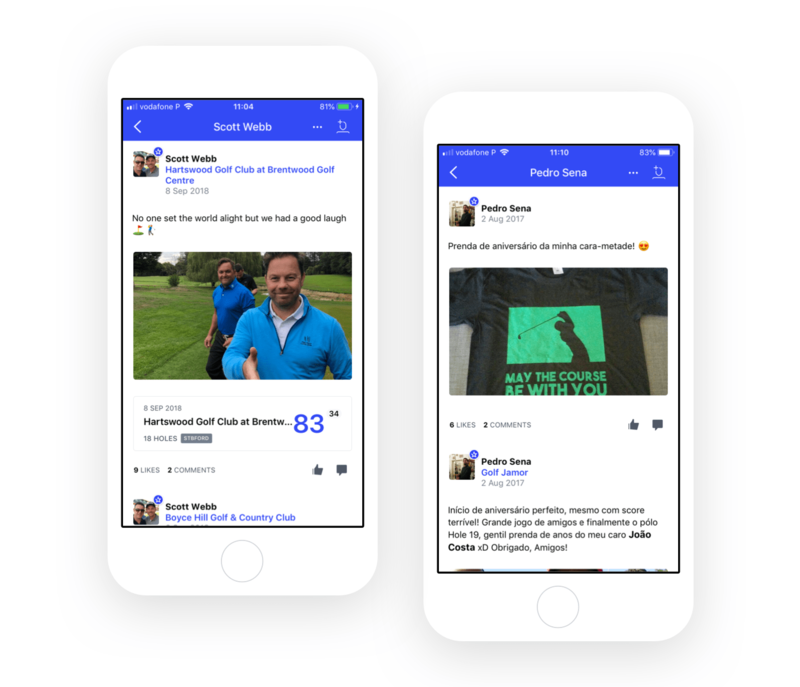 Read more here and find out how useful can it be on the golf course. 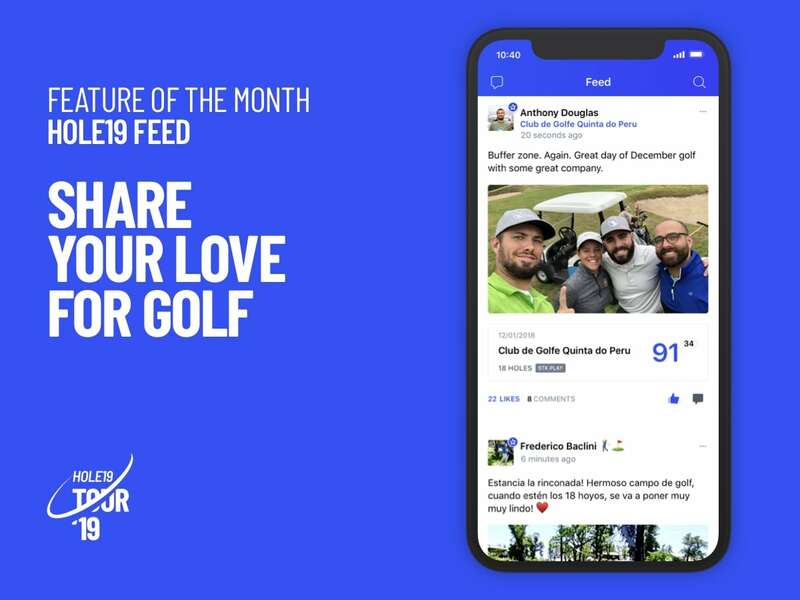 Share your golf story with us using the hashtag #hole19tour19! In February, golf is in the air (and a little love too). 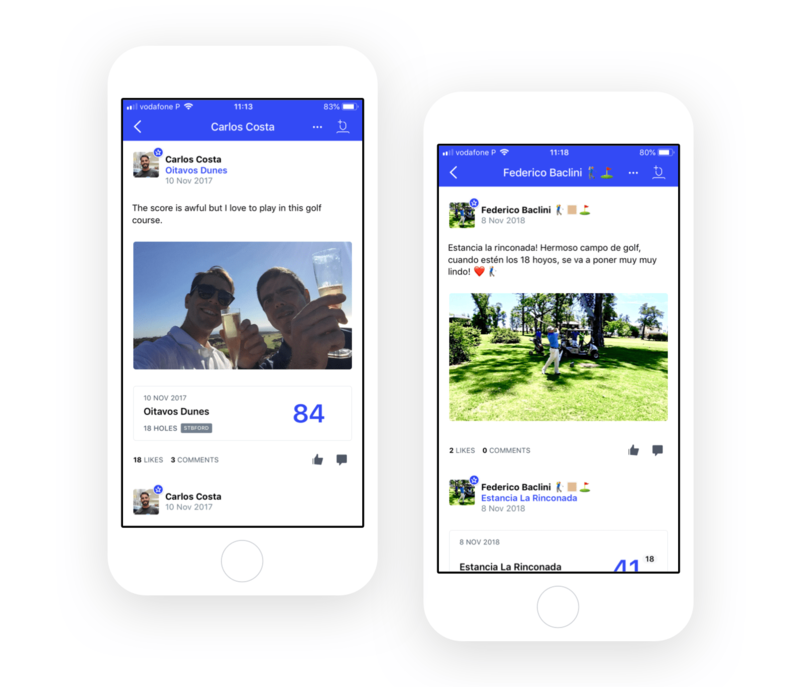 So, this month we’ll be focusing on a social feature we brought you a few years back: Hole19 Feed. 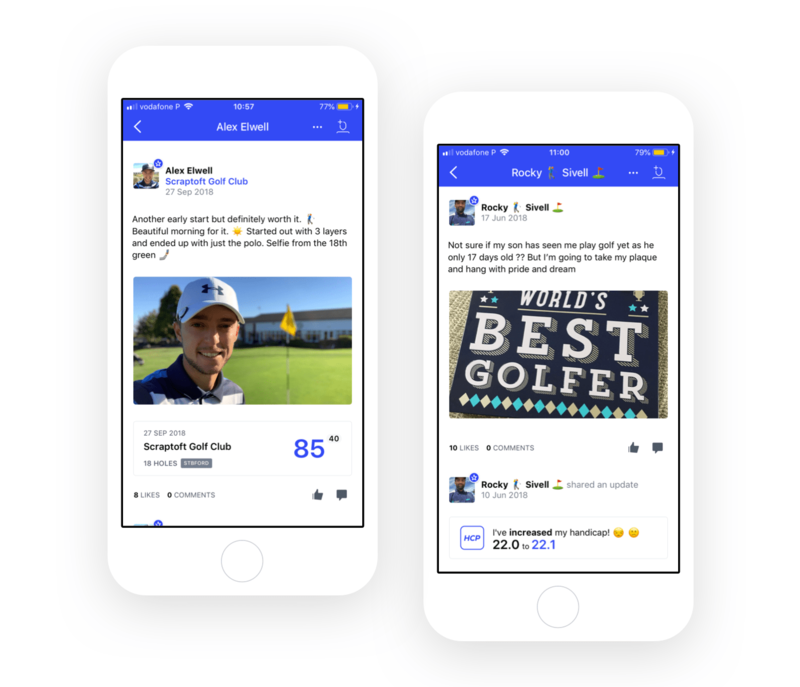 This is the place where you can connect with other golfers and share your progress, your experiences and, of course, your love for this challenging sport. We know that golf can sometimes be frustrating and, let’s be honest, we all might be in a love-hate relationship with the game, but that’s a good thing… because it's the challenge that makes us all get better! Alex Elwell, one of our Ambassadors, enjoying the good weather and having some time to take a selfie, while Rocky has already someone who inspires him to become the best golfer he can. Laughter brings us together, and Scott sure knows about that! On the right, Pedro showing off the gift he got from his soulmate (lucky). And finally, a little celebration on the golf course! Now, the challenge: Let’s fill the app with LOVE! And remember, Hole19 Premium will be available for ALL golfers on the 19th, so grab your clubs and get ready to play on that very day! Ready? Let's chill out with some golf!